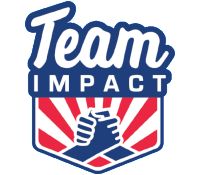 Case Managers will report to the Director of Case Management and play an integral role in the maintenance of the Team IMPACT program which includes: managing TI relationships between participating families and teams, measuring and evaluating target populations’ progress towards their milestones and outcomes, as well as helping cultivate and develop the medical and athletic networks within their region. The work centers around not only establishing and maintaining active dialogues with both families and teams, but also ensuring that best practices are understood by all, and that expectations of all parties are being met. Case Managers will work to ensure the highest quality of relationship possible, in addition to implementing the graduation process to conclude the formal relationship. Case Managers will work with participating families and teams who are located throughout the United States and will primarily communicate with participants via telephone and email. Cases for which they are responsible achieve the best possible experience for the family and the team. Monitor and evaluate as the child, family and team progress through their relationship to make sure each are hitting the milestones expected at that point of the relationship. The entire family is involved to the extent they choose and are provided additional resources and opportunities as applicable. Updating and maintaining the database (Salesforce)/content management systems. Must be a self-starter comfortable in working both independently and as part of a team. High degree of comfort in operating autonomously along with the knowledge of when and how to advocate for the help and resources needed for success and ability to leverage individual circumstances to inform an appropriate response. 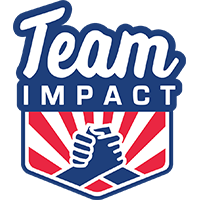 Please email a resume and thoughtful cover letter, outlining how your skills and experience meet the qualifications of the position and stating how you heard about this opportunity, in Word or PDF format, to Careers@GoTeamIMPACT.org. Note: This position is located in the Quincy, Massachusetts office.